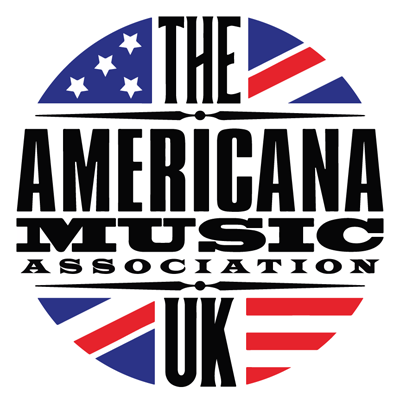 "I’m so very excited to participate in this year's AmericanaFest UK, this will mark the first one for myself and Asleep at the Wheel. I’ve been playing music in the UK since our first tour in 1977 and always jump at the opportunity to come over any chance I get. I’m looking forward to showcasing our new record “New Routes” as well as checking out new bands and participating in the great panels during the week. It’s wonderful to see Americana grow worldwide and i’m honoured to be a part of this great genre of music." 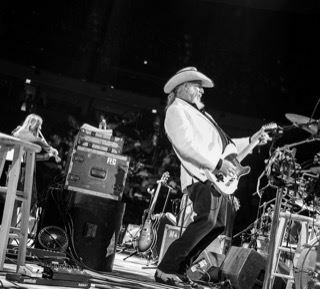 Nine times Grammy Award winning Asleep at The Wheel frontman and leader Ray Benson is a true icon of Americana. Having released over 20 albums since the 1970s, and charted more than 20 singles in the Billboard Country Music Chart, Benson shows no signs of slowing down, with latest album 'New Routes' released in September 2018. A songwriting genius and master performer, Benson has collaborated and played with many of country and Americana's greatest artists, from Vince Gill to Dixie Chicks to Willie Nelson. Benson discusses his illustrious career and his unwavering passion for making music with BBC Radio Ulster's Ralph McLean. New Routes, the brand-new album by Asleep At the Wheel, marks both a new path forward and a nod to the freewheeling roots (get it?) of one of Texas’ most beloved bands. After a decade of collaborating on record with friends, including Willie Nelson on 2009’s Willie and the Wheel, and paying ongoing tribute to the groundbreaking music of Western Swing pioneer Bob Wills, the Wheel is marking 2018 with their first album of new material in a decade. With a fresh lineup, a bracing blend of original songs and vibrant cover material and some unanticipated new musical tangents, Asleep At the Wheel demonstrates convincingly it’s more relevant, enjoyable and musically nimble than any time in its 45-year history. New Routes propels the listener down myriad musical byways. Recorded in their hometown studio in Austin, Texas, New Routes also features two bonus tracks: “Weary Rambler,” an acoustic-flavored track by the Wheel’s female vocalist and fiddle player, Katie Shore, and the tongue-in-cheek “Willie Got There First,” a collaboration between the Wheel and the Avett Brothers. “I call us the ‘Ray-vett Brothers,” joked the Wheel’s bandleader, Ray Benson. The 6’7” Benson has been the one constant in Asleep At the Wheel since the band’s founding in 1970 in Paw Paw, West Virginia. Since that time, more than 100 musicians have passed through the Wheel, but Benson remains the front man and the keeper of the vision, in the process racking up more than 25 albums, nine Grammy awards and literally millions of miles on the road. “A lot of people come into the band good and leave the band great,” said Benson. “There’s not a better school than to get on the bus and play 100-150 shows a year of challenging music. Ludicker’s bandmate Katie Shore is also an accomplished fiddler, and together they give the band the one-two twin fiddles punch of classic Western Swing. Shore follows in the long tradition of strong and talented female performers who have been an integral part of the band’s identity for decades. From founding female vocalist Chris O’Connell to Mary Ann Price, Rosie Flores, Cindy Cashdollar, Elizabeth McQueen and Emily Gimble, women vocalists and musicians have shaped the band’s legacy. That driving principle comes into distinct focus on New Routes. “It’s a nice addition (to the Wheel’s catalog) because it explores music we haven’t explored before and it highlights the people who are in the band right now,” said drummer David Sanger who, with 32 years under his belt, is the longest-running band member next to Benson. New Routes, he said, “is a pure distillation of where the band is right now,” Benson declared. With the twin fiddles of Shore and Ludiker in place and steel player Eddie Rivers being able to double up on saxophone with bandmate Jay Reynolds, the eight band members “sound like twelve onstage,” said Benson. 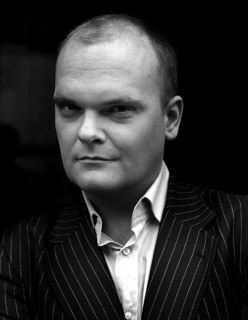 Ralph McLean is a BBC radio presenter, writer and producer from Ireland. His multi-award winning country music show on BBC Radio Ulster has been an outlet for new and classic Americana music of all kinds for more than 20 years now.